Protecting your family from food poisoning can be quite a challenge if you are storing your food in an old, tatty, and worn down fridge where bacteria lurk and accumulate. For this reason, investing in an eco-friendly and stylish unit can be a good move because it will help you save money on monthly household energy bills and at the same time ensure that the food you are storing for your family is as hygienic as possible. That is why making sure that your fridge freezer is in tip top shape is a must if you want to shun away food poisoning and other related conditions. Food poison statistics are very alarming in the recent years, in England and Wales for instance around 70,000 cases of food poisoning are recorded annually. When your trusty storage appliance is no longer keeping things cool below five degrees Centigrade, you and your family could unintentionally be put in harm’s way. Choosing a freezer and fridge combination that is right for your home could go a long way in keeping your family from becoming one of those statistics. Leftover food should not be left outside the refrigerator for longer than 90 minutes. Any time after that, you are providing the perfect environment for the bugs that cause food poisoning to flourish. It is essential that you put them into the fridge as soon as possible – but obviously not while still hot. And if you are serving food, never leave it out for longer than necessary for no longer than the length of the meal; it doesn’t take more than an hour and a half to eat a meal. When you go grocery shopping, the amount of time you leave foods thawing in your trolley and your car and performing other errands like fetching the kids from school and playing with the dog before unpacking the groceries can count against you as well. Putting this factor into consideration, it would be best to purchase your frozen food last before heading out of the store and going straight home to load it into your fridge freezer. Allowing items to almost completely defrost, and then freezing them again will increase your family’s chances of getting food poisoning. 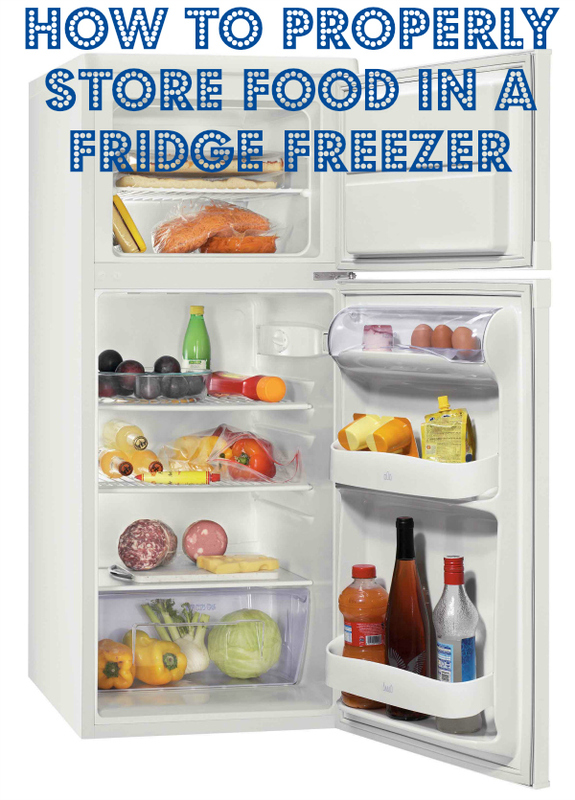 This does happen sometimes, so it is important to make sure that you do not leave the doors of your fridge freezer closed for as long as possible – the fewer the times you open the doors, the safer your food will be inside. Thanks – brings back memories from my Home Economics lessons at school! I’ve had food poisioning and it’s horrible!